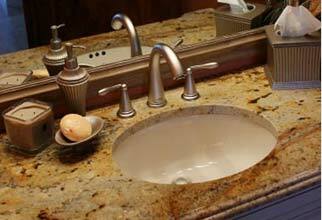 Are you looking to update and refine your kitchen or bath? Do you want to upgrade your home in a elegant and functional manner to improve its value? You have come to the right place. Design plus will meet or exceed your expectations in the design and fulfillment of your dream kitchen or bath. 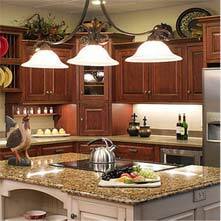 At Design Plus, we specialize both in granite and quartz countertops as well as in custom cabinetry. Over the past 15 years we have become the leading stone fabricator in Central Illinois. Design Plus also offers tasteful edging options, giving your project a personalized look matched to your home décor. See our edging profiles page for more about what our selection entails. We care about quality. We know that your home is a reflection of you and your needs. That’s why we import only the finest stone materials so that your home will be at its best. 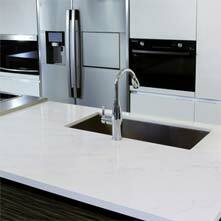 We want you to be extremely satisfied with your new granite and quartz countertops. That’s why we offer impeccable service to our customers. We treat you with the respect you deserve. We know you demand perfection and it’s our aim to accommodate your needs. We strongly recommend you visit our showroom/ warehouse where our team can give you complete service. We don’t surprise our customers with the cost of a project. Honesty is our number one tenet: We are not trying to break your budget. That’s why we offer you a free estimate on any project you have. If you wish we can come to your home directly or you can email or fax your layout to us and we’ll get you a quote within 24 hours. If you are looking to renovate your home, we want to hear from you. Allow Design Plus to become a part of your project.